Nancy was born and raised on a farm in Palmer, Marquette County. Beloved wife of the late Alton Sannar (2001). Dear Aunt of Peter Kivisaari & Patricia Essig. Great Aunt of 4 nephews. Nancy, the daughter of Finnish immigrants, was born and raised in the UP. 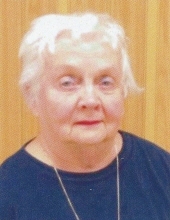 Nancy was a member of U of M Friends of Musical Theatre, Friends of Livonia Library, The Finnish Center, Livonia and Dearborn AAUW, the Livonia Garden Club and Friends of Livonia Symphony Orchestra . Nancy taught in the Dearborn Public Schools for many years. Memorial contributions may be directed to any of the listed organizations. To send flowers or a remembrance gift to the family of Nancy L. Sannar, please visit our Tribute Store. "Email Address" would like to share the life celebration of Nancy L. Sannar. Click on the "link" to go to share a favorite memory or leave a condolence message for the family.